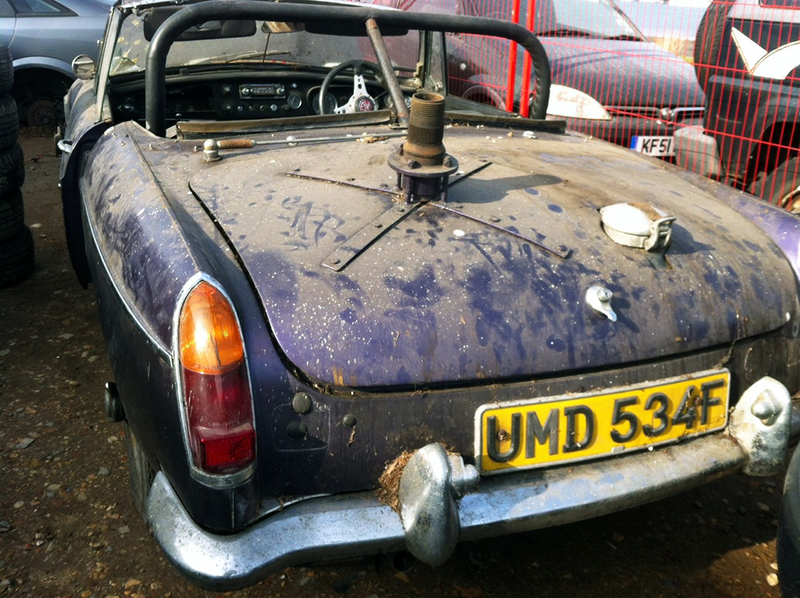 MG Car Club > Car Club News > Rare Rally Relic Rescued! The MG Car Club’s MGB Register has found and rescued a works-backed MGB that contested the 1968 London to Syndey Marathon. UMD 534F was not a works entry, though the car received significant support from the BMC Competitions Department and was driven by Jean Denton. Jean was well-known for her rallying exploits, spending three years as a professional driver before enjoying later success as a business woman, a minister in the Government, before becoming a Dame in 1991. It was prepared for motorsport by Tony Denton, her husband, alongside Tom Boyce who would also serve as navigator on the rally. To prepare it for the rigours of the rally, the B underwent significant preparation work, including double welded seams, uprated headlamps and a double fuel tank the filled the boot. The passenger seat was replaced by a bed, which could be converted back into a seat for use during the day, while a selection of spares stowed beneath it. The Denton/Boyce team would finish the rally in 42nd place overall – the first, and only sportscar to complete the event. The car has been in dry storage since the 1980s and the MGB Register intends to restore the car to its period works condition, with support from British Motor Heritage, and Bicester College’s Motorsport students, supporting the Car Club-sponsored Federation of British Historic Vehicle Clubs’ apprenticeship scheme. 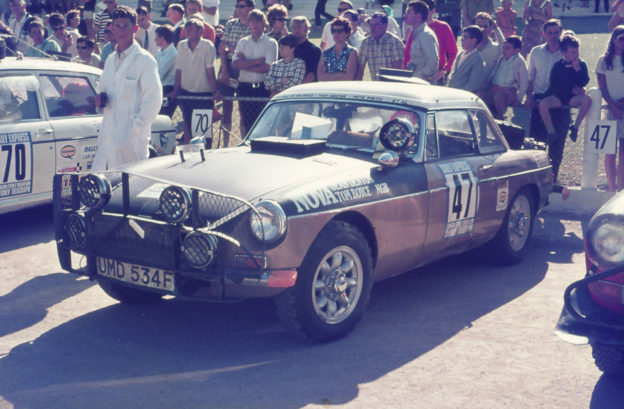 While the competitive history of the car is well noted, the MGB Register is keen to learn more about the car, particularly its time after its life in competition.